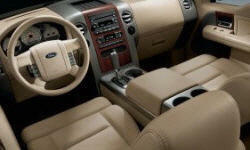 Ford F-150 Handling Pros and Cons | Page 1 of 1 | Why Not This Car? What drives people to buy (or not buy) a certain car? 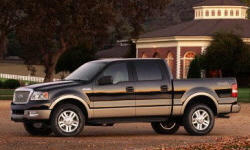 TrueDelta's members share Ford F-150 pros and cons based on their real-world driving experiences. This truck handles extremely well for a pickup of its size. It really feels tight and its fairly nimble as well. Its really enjoyable to drive, much improved over the 93 F-150. Feels like a big car around town and holds its line very well on highways. even it a truck (pick-up) it drives very much like a big car. Drives like a car, with the security of a tank. The stock handling was adequate, with a little work on the suspension it now handles phenomenally! The back end is a little loose in a turn. This improved with new shocks though. For a truck, the vehicle coners nicely. It brakes quickly. And the torque / shift ratio will get your blood pumping. It gives a positive feed back and firmness in turns and carrying a load.I found it far more comfortable then the other two major truck companies.